Comfort and ease-of-use are two of the most important features in a "general use" backrest. The JAY GO Backrest fulfills both these needs and more. Comprised of super soft 1 1/4" thick foam and a tension-adjustable contour strap system, the JAY GO Backrest is one of the most comfortable, supportive surfaces available in its category. The tension-adjustable straps are designed with very small gaps between each strap. This feature helps minimize pressure build-up between the straps. Add in a stretchable water-resistant cover and you have an ideal combination. Made with 1 1/4" of extra soft foam, the JAY GO Backrest is incredibly comfortable. This super soft foam, combined with a tension-adjustable strap system, creates one of the most comfortable products JAY has ever produced. 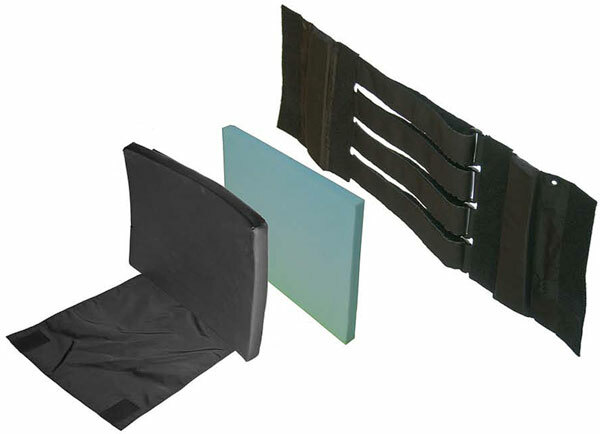 The Dartex® coated cover has excellent elasticity in all four directions. This ability to easily stretch is a key comfort ingredient. The big advantage of a tension-adjustable strap system is the ability to customize the shape of the backrest. This provides clinicians the opportunity to create custom contour shapes that optimize user support and comfort. The Dartex coated cover repels and beads fluids, which makes cleaning a breeze. This cover also protects the inner foam from odor- causing moisture. The other big advantage to the JAY GO Back's tension adjustable-system is its ease-of- installation. 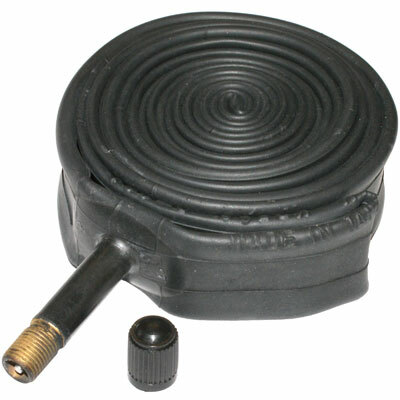 Wrap-around Velcro sleeves conform to almost any back-tube diameter, and they are extremely easy to attach to the back posts. The backpost sleeves are padded on the front side of the sleeve. This protects the user from hard back posts and increases product durability. The JAY GO Backrest is a perfect companion for any folding wheelchair. It's easy to install, super comfortable, and can remain attached to the chair when folded for storage. Choose a Back Height Short 10" - 14" Tall 15" - 19"